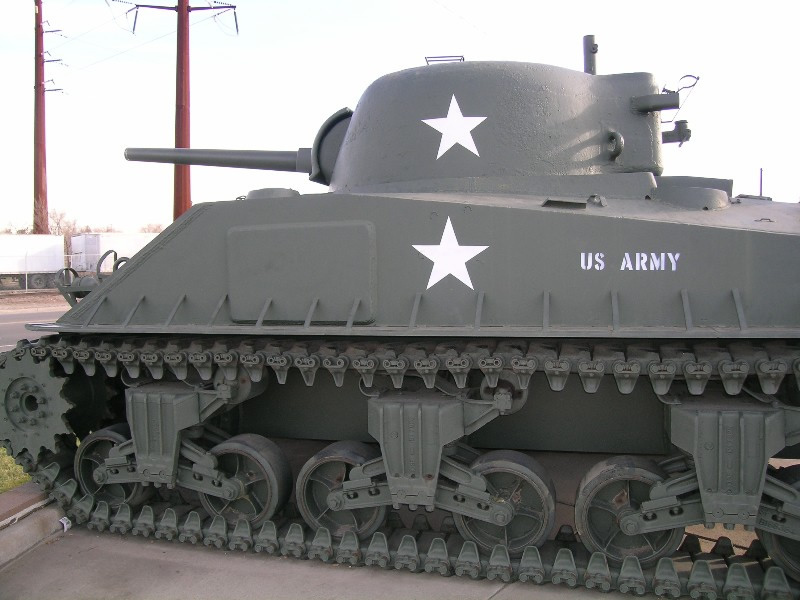 The Sherman family of tanks is the most recognizable of U.S. battle wagons during WWII. 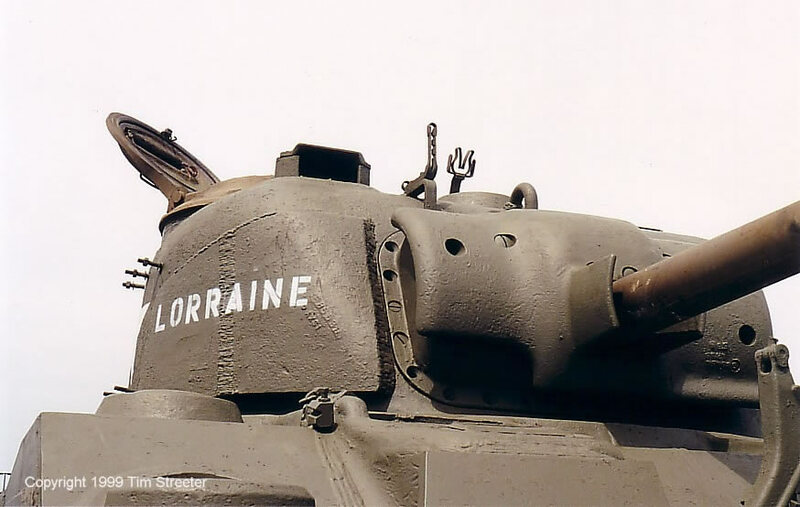 Over 36,000 were built -- more than all German tanks combined -- and Shermans served in all theaters of the war. 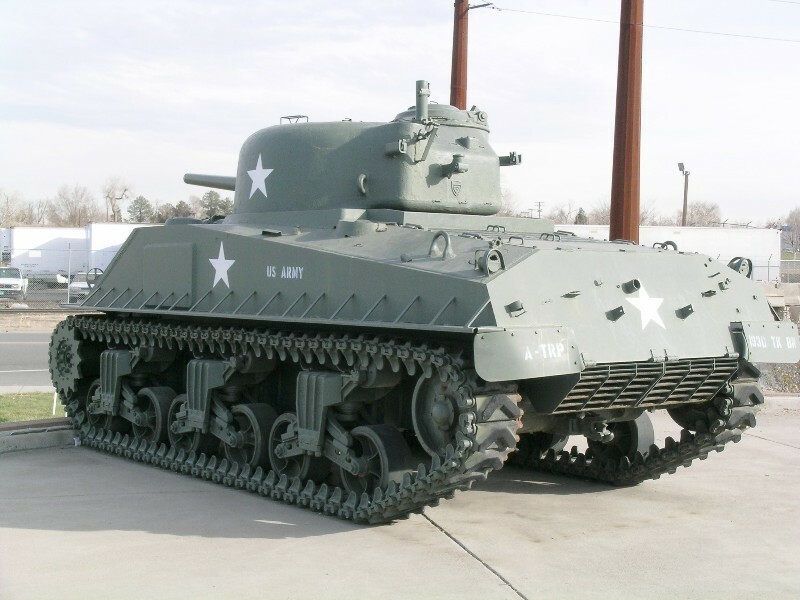 While they were praised for their reliability, mobility and speed, these medium tanks did not offer the armor protection to hold up against the more powerful German tank guns. 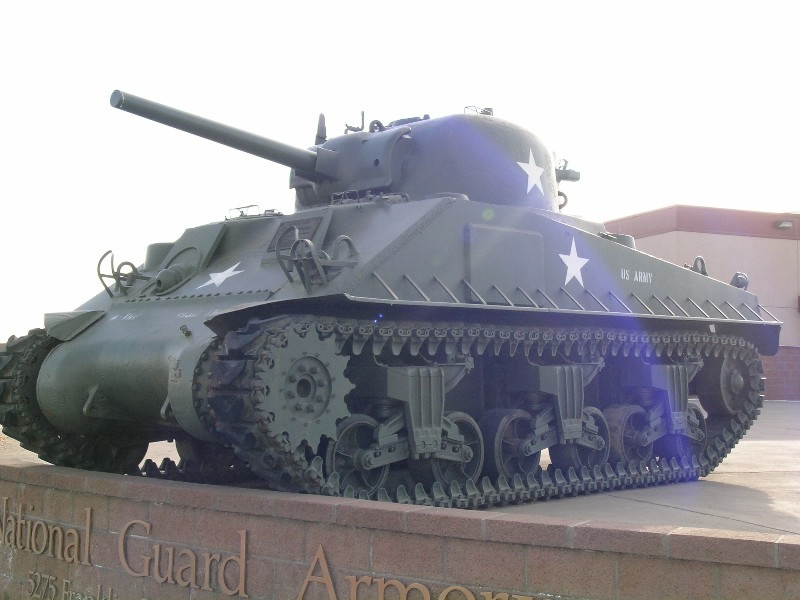 The tendency for the tank's ammunition to explode when hit gave rise to the Sherman's nickname, the "Ronson." 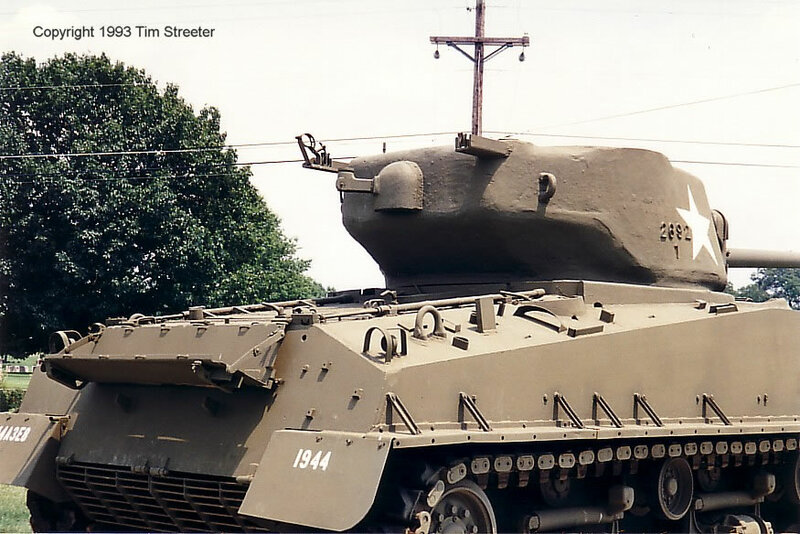 That the Shermans were able to ultimately prevail on the battlefield is due more to their courageous crews, the tireless workers on American assembly lines, and destruction of German tank manufacturing capabilities. 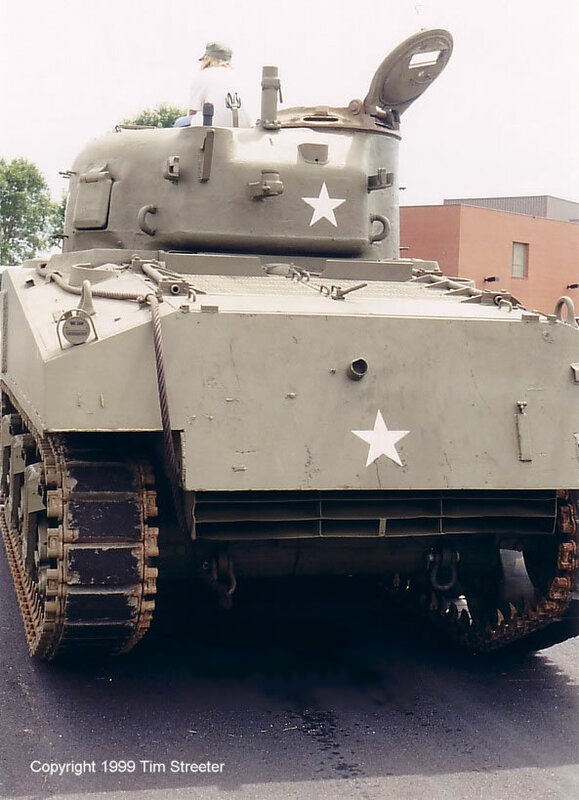 This mid-production M4A3 tank appeared at an expo at Fort Snelling. 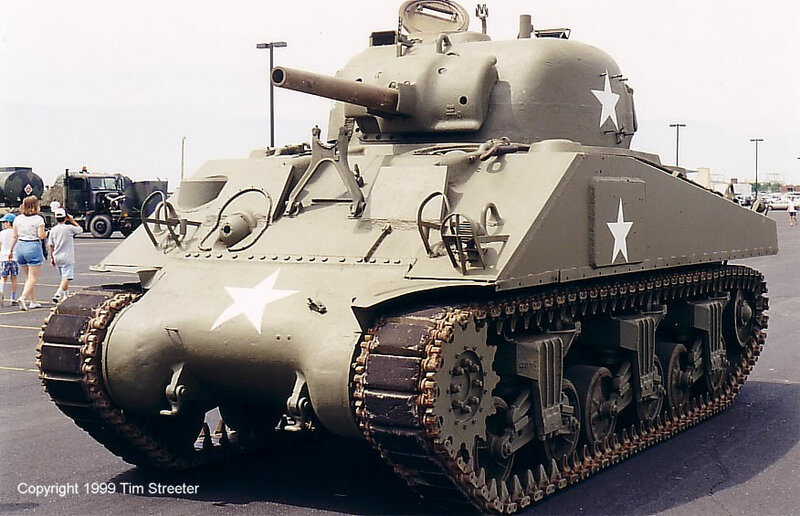 It resembles the M4 with the driver and co-driver vision slots protruded from the sloping 56° glacis plate on the front of the tank. 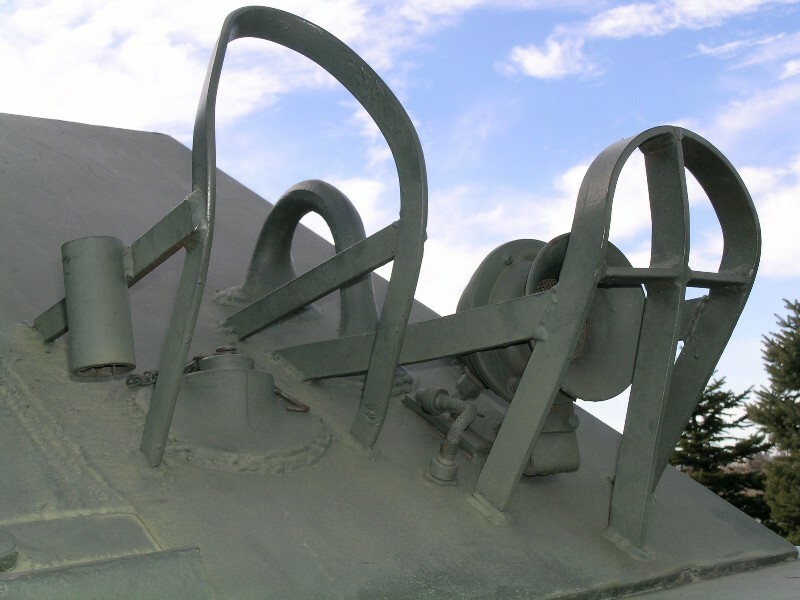 As this was a vulnerable spot against enemy armor, steel plates were welded in front of the hatch areas. 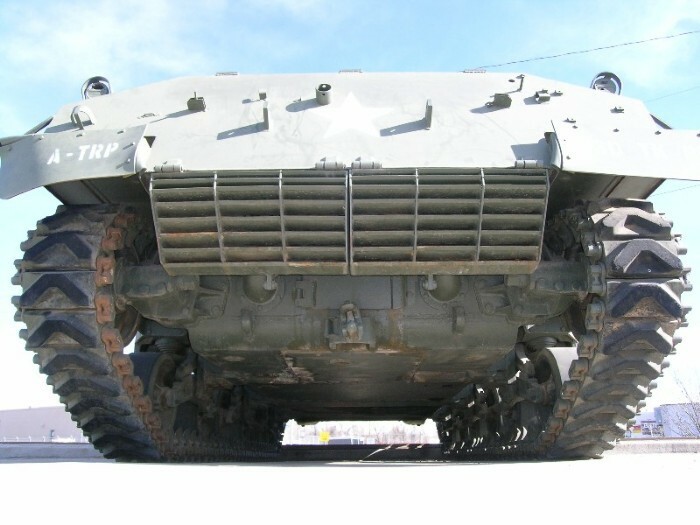 The main difference between this tank and the M4 are the engines, engine deck, and rear end of the hull. 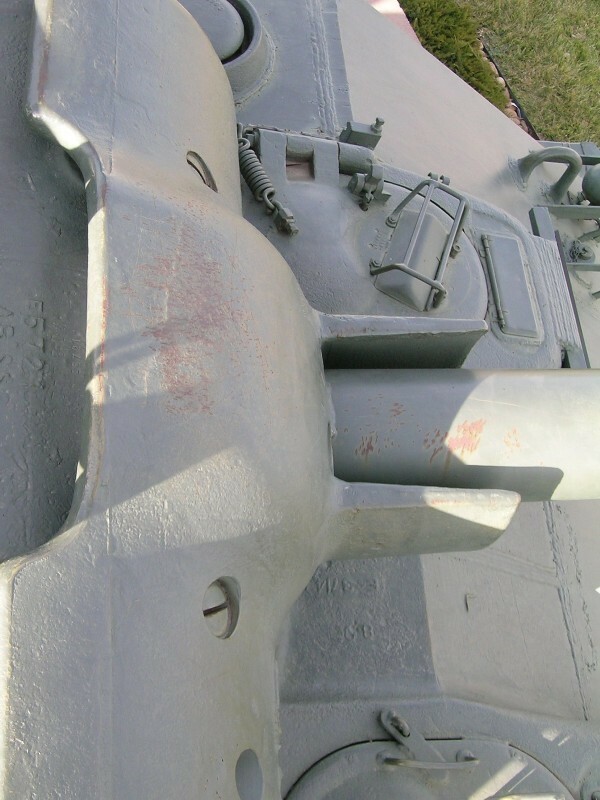 Also evident on the sides of the hull below the turret are the additional "appliqué" armor plates welded to the side to protect the internal ammunition storage. 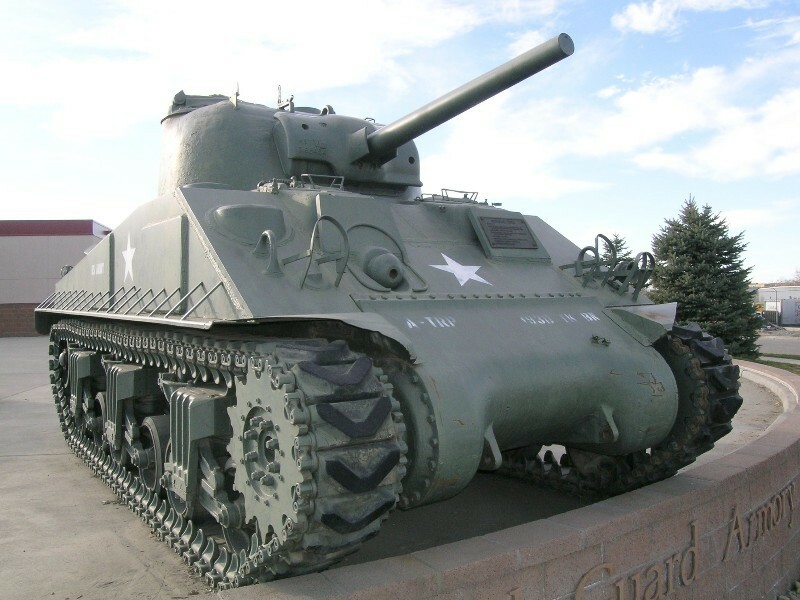 This Sherman was photographed by Derek Brown in 2006 at the Denver National Guard Armory. 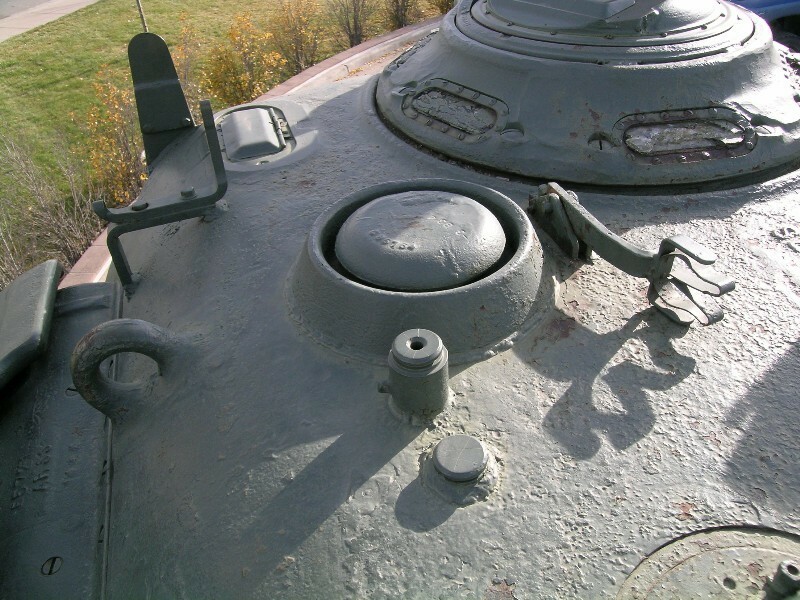 It too is a mid-production tank with the applique armor on the sides of the hull. There is no applique on the low bustle turret. It also has the E9 modification to the suspension to allow for extended end connectors. 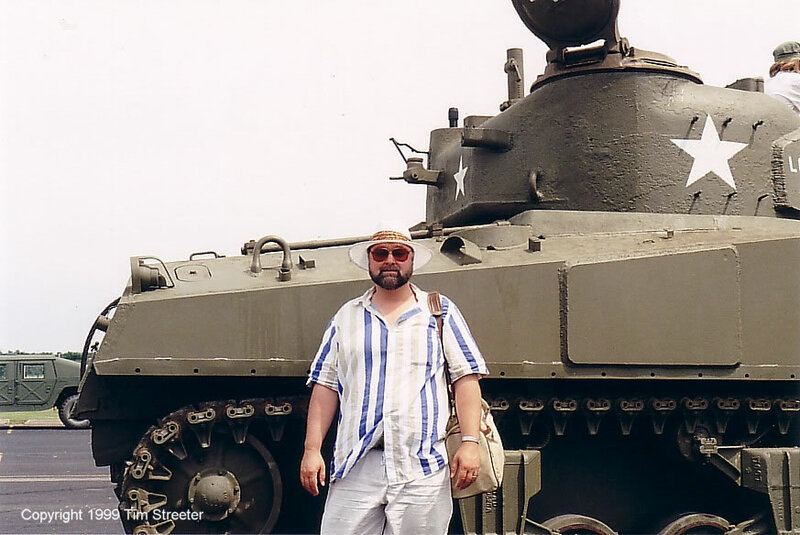 Derek has more than 500 photos of this tank and will burn a CD for a modest price; contact him at buffiesbest@comcast.net. 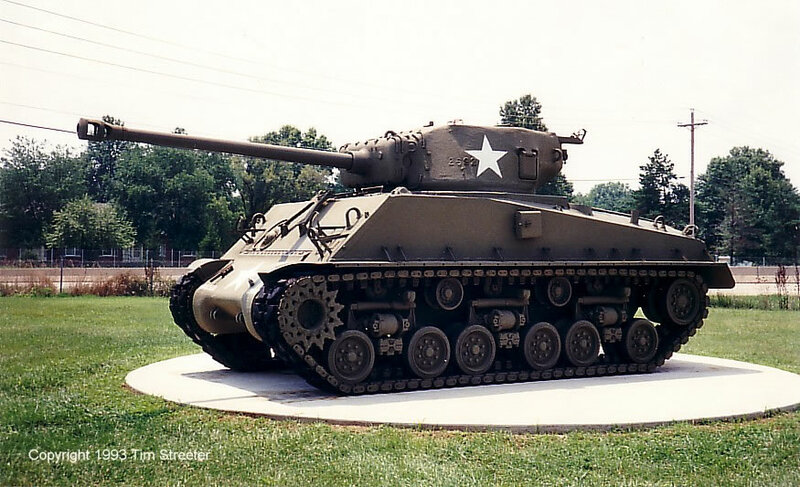 You can model this tank and the one above with the out-of-production MP "Authen-I-kit" mid-production M4A3 using the Tamiya M4A3 as the donor kit, or the DML Sherman III with an M4A3 engine deck and low bustle turret. 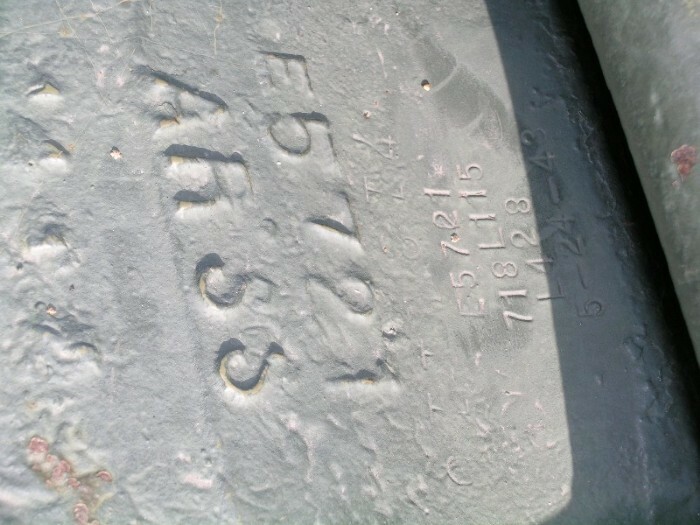 This tank is S/N 12306. 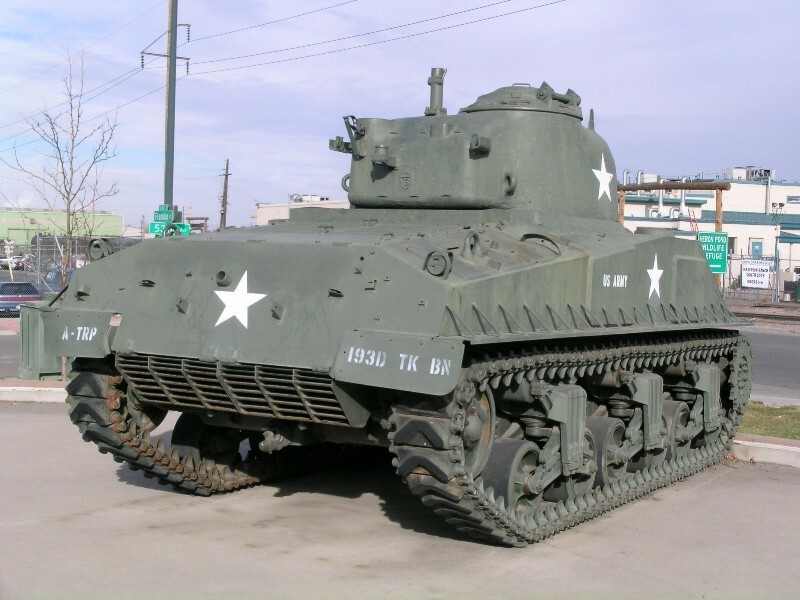 It was built by Ford Motor Company (as were all small hatch M4A3s) and was likely completed in June 1943. 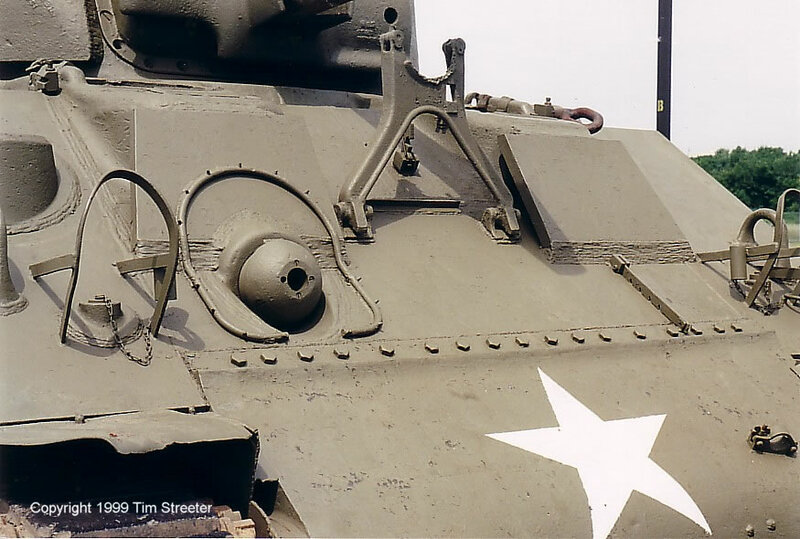 At the time it was constructed it did not have the appliqué armor on the hull sides or in front of the driver's hatches. 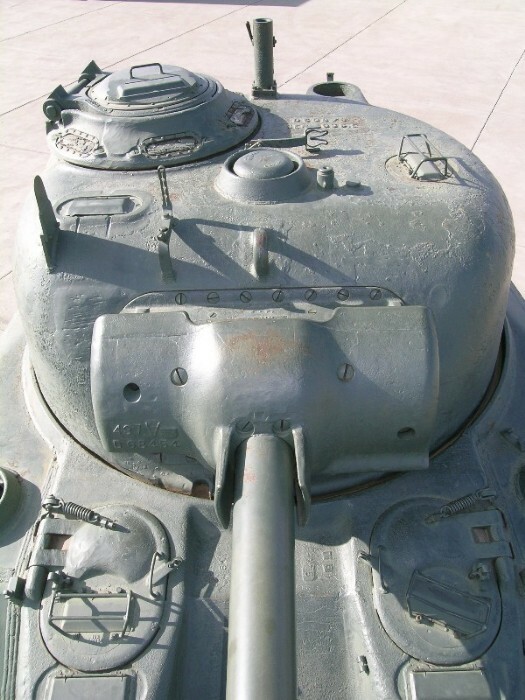 The turret (with an altered contour on the right front to increase protection and no pistol port) is the type that would have been fitted, as is the differential housing. 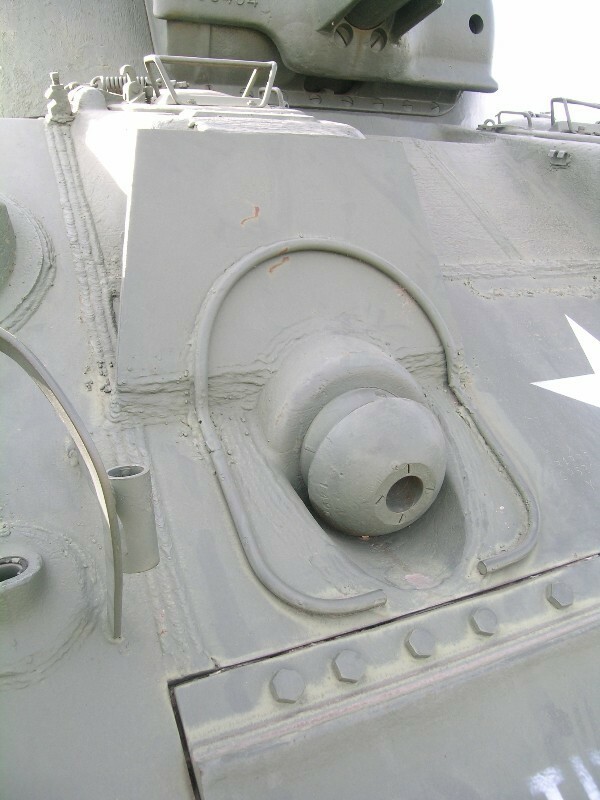 It is unlikely that this is the actual turret or differential housing that were mounted when the tank left Ford. 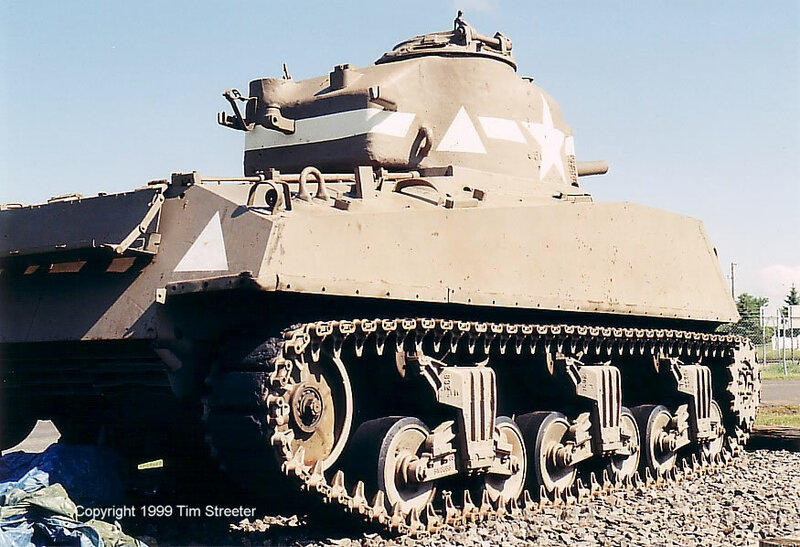 Overhaul programs starting in 1944 stripped the tank down to varying degrees and put them back together without any regard to keeping one tank's parts together. 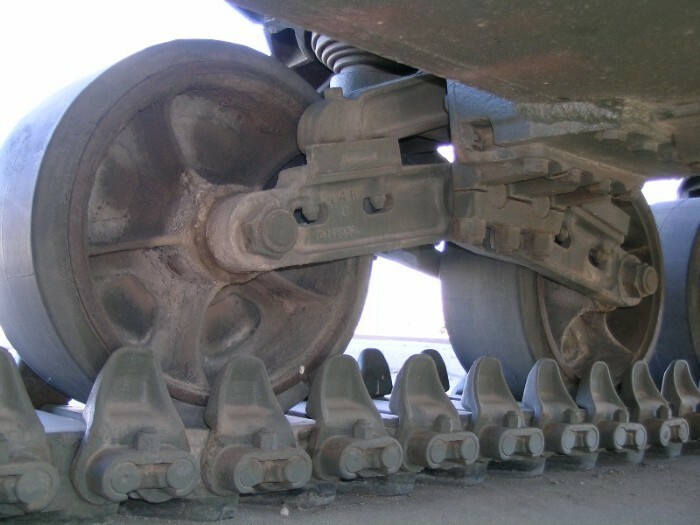 The tank is fitted with the "E9" suspension modification that spaced the bogies, sprockets, and idlers out from the hull so that extended end connectors could be fitted to both sides of the track for reduced ground pressure. 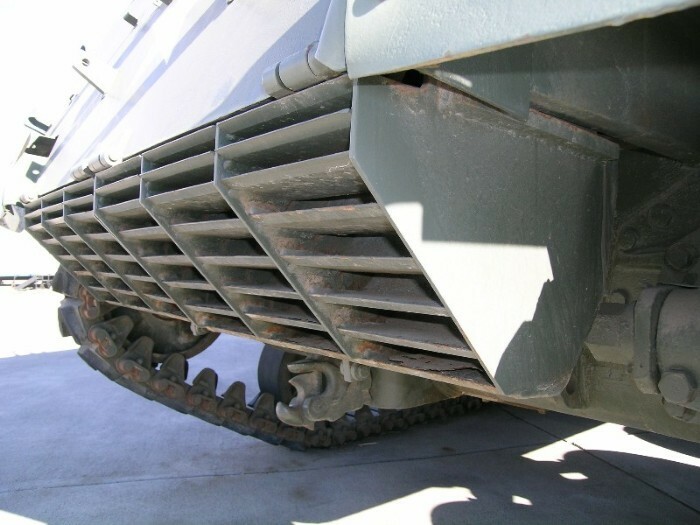 The hull side fenders with rectangular bar braces are key indicators of this modification, as is the gap between the track and differential housing (normally the bolts on the final drive housing can barely be seen). This modification was first applied in 1945. 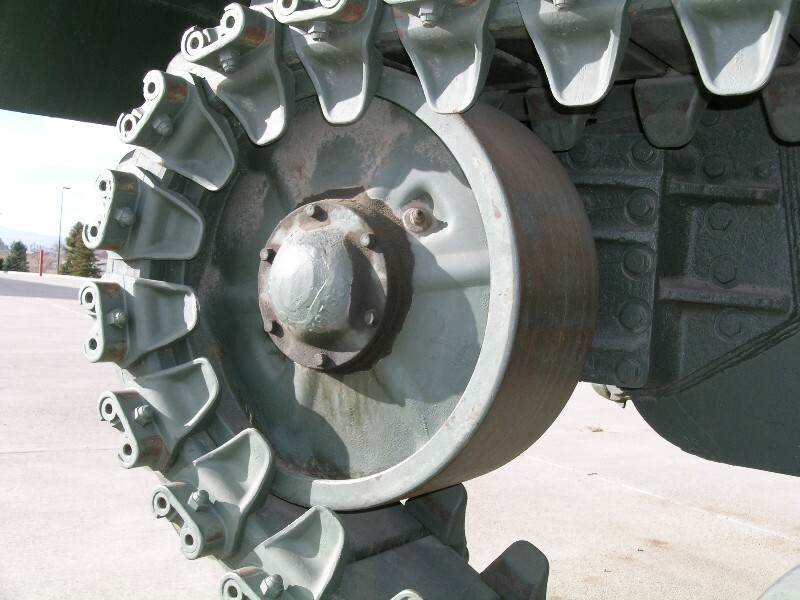 The inside views of the bogie wheels show the openings in the wheels that were plated over starting in 1944. 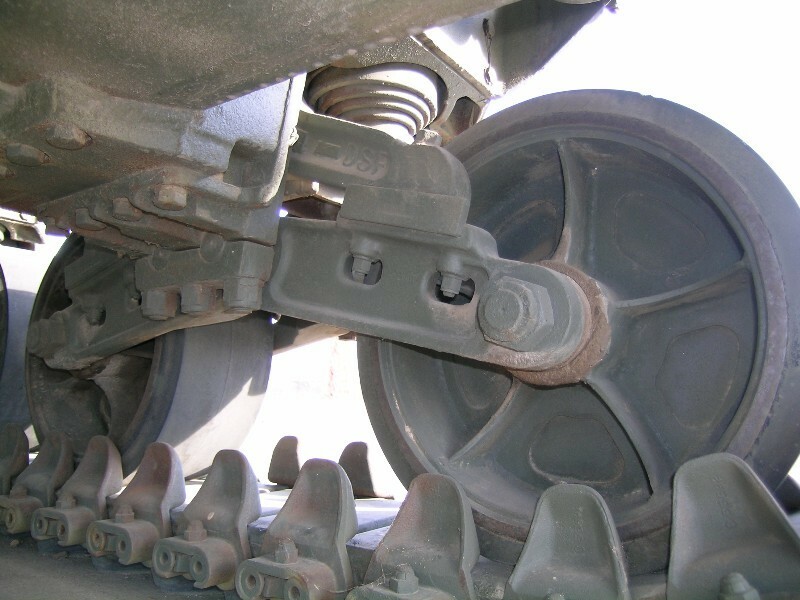 The return roller brackets have spacers mounted under the roller axle to raise the track so that all-steel tracks did not drag on the skid above the bogie and damage it. 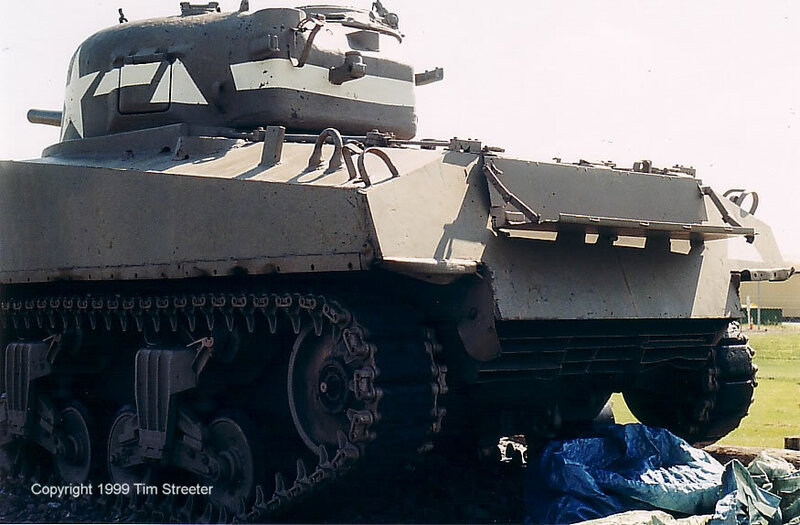 About the time this tank was being built a new bracket with an upwardly angled shape that did not need a spacer was being incorporated into production. The disk idler was relatively new in production at the time 12306 was built. Note the idler bracket to the right. 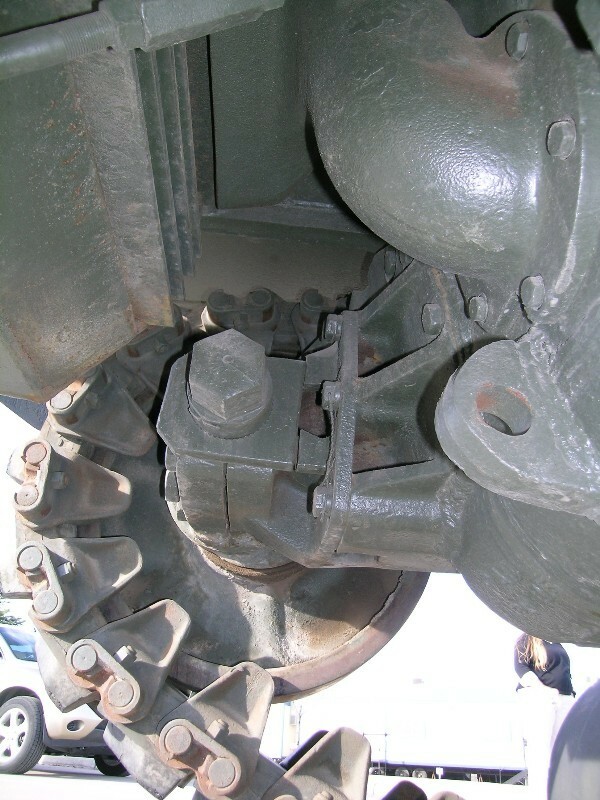 The part with three ribs closest to the wheel is the actual idler bracket. The portion with two ribs is the spacer added as part of the E9 suspension modification. 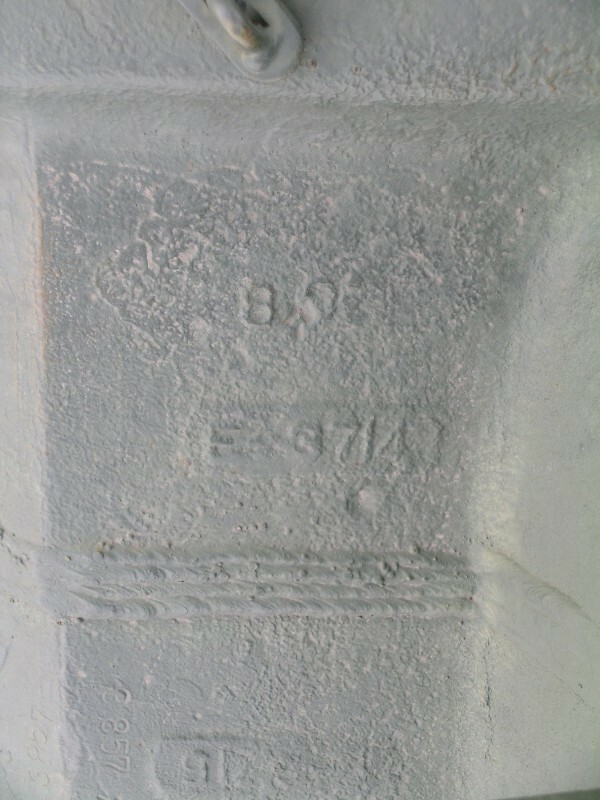 It is bolted in the original bracket location and welded to the hull around the edges. 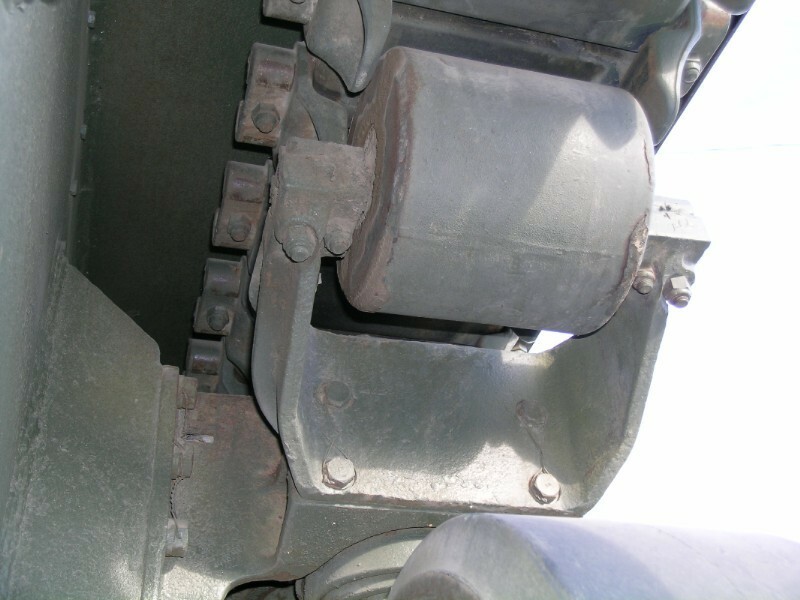 In the view of the idler bracket at the hull rear, the large ribbed piece to the right of the bolt flange is the spacer as well. (The seam between the idler bracket and the spacer is visible on the bottom.) 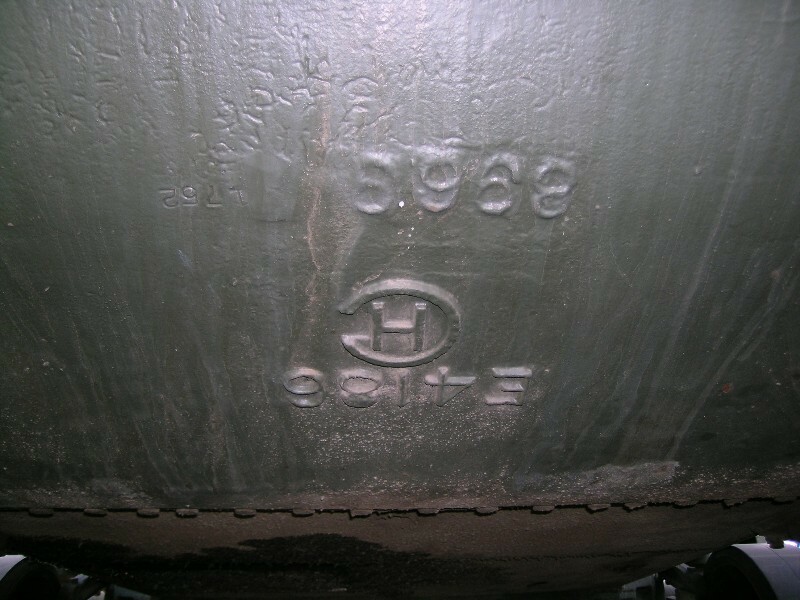 Note the round joint casting that joins the hull rear and bottom plates. 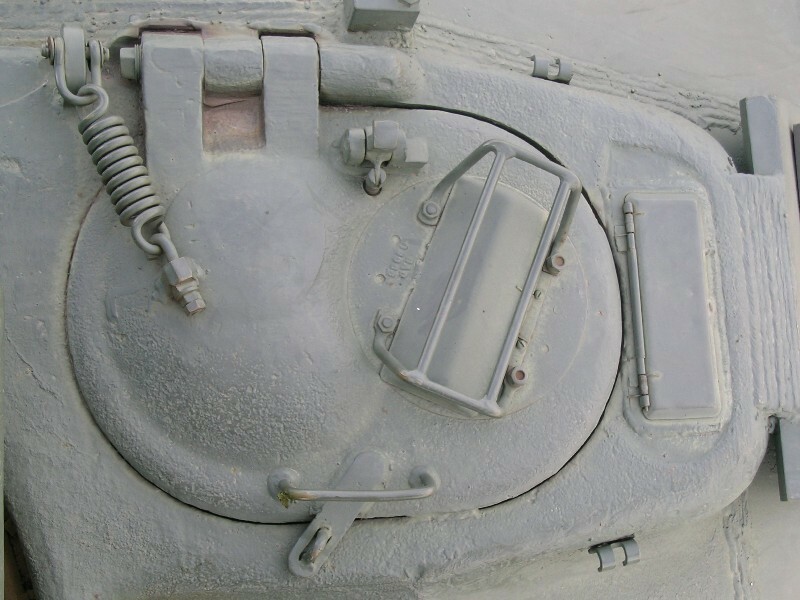 This differs from the flat plate set at an angle used on the large hatch M4A3s and will need to be changed if using a later M4A3 hull in a conversion. The towing pintle and bracket were not added until late in 1943, after 12603 was built. 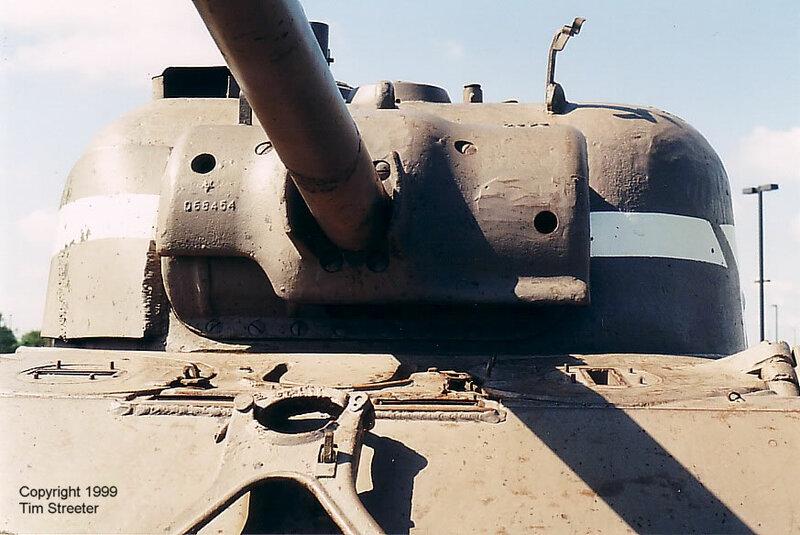 The armored exhaust deflectors were added in 1945 and were certainly not on the tank as built. Looking upward and behind them you can see the line of bolts that held the radiators, and the turnbuckles that held the deflectors in the lowered position. When folded up for access to the engine door the turnbuckles attached to the lugs visible on the rear upper hull to either side of the star. If you are modeling the earlier sheet metal exhaust deflector these lugs would not be present. The engine deck area is notable in that it is essentially in the as-built condition. 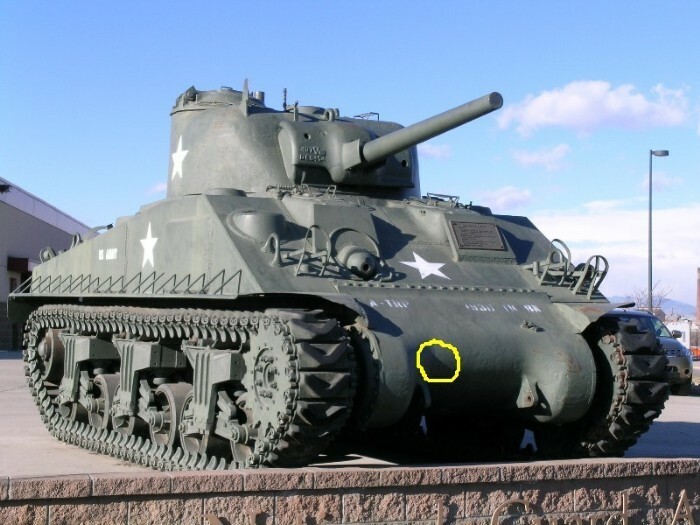 Most surviving M4A3 have modifications and additions in this area, like the three hinges at the rear edge for a folding blanket roll rack (applied starting in 1944). There should also be a bolt at the four inside corners or the engine grills. 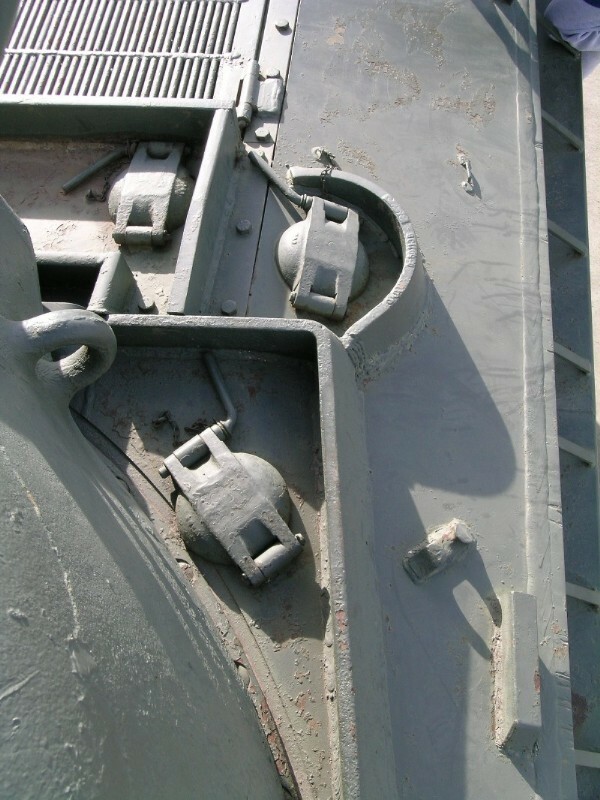 The single piece plate behind the grills was a feature of small hatch M4A3s. 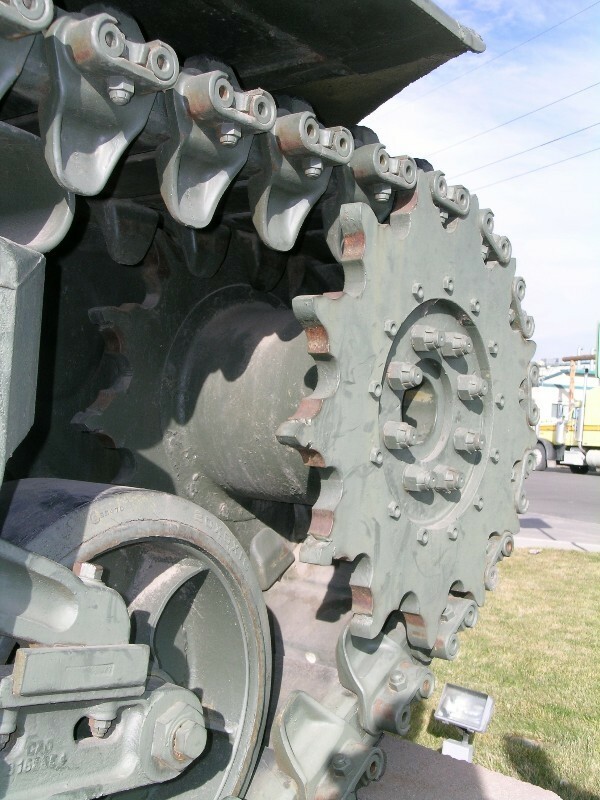 Later tanks used a two-piece plate with a splash strip over the joint. 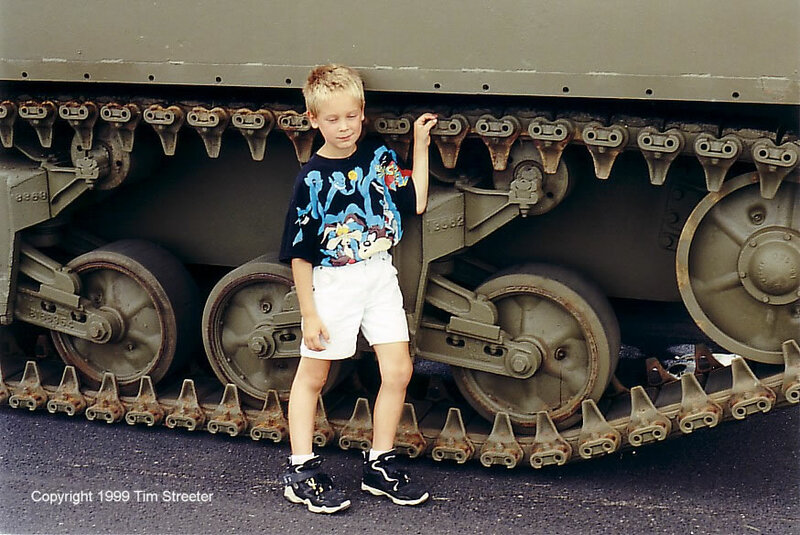 On the left side of the tank there were three gasoline filler caps, as seen here. The two rear fillers (mirrored by two others on the right side) empty into the main engine tanks while the one inside the turret splash ring is for the auxiliary engine. 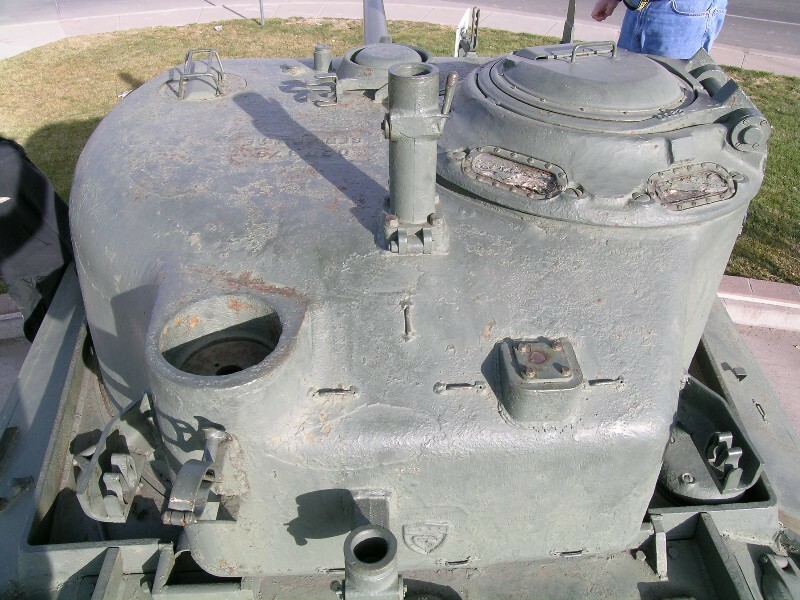 (There is no corresponding filler on the other side, rather a ventilator for the fighting compartment.) 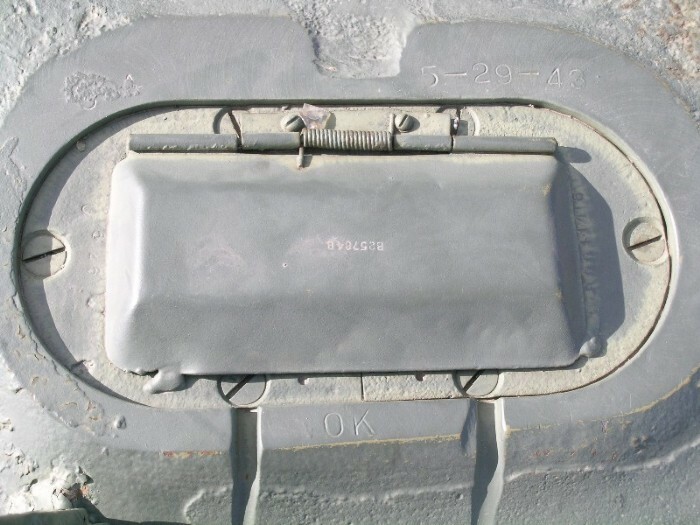 The rectangular block on the hull in the lower right of the photo is actually sheet metal and is open at the rear; it is one of the brackets that holds handle end of the pry bar. The point is held in a triangular bracket by the hull lift lug while a leather strap through the loop by the middle filler cap held the pry bar in place. The fitting to the left of it holds the towing cable. 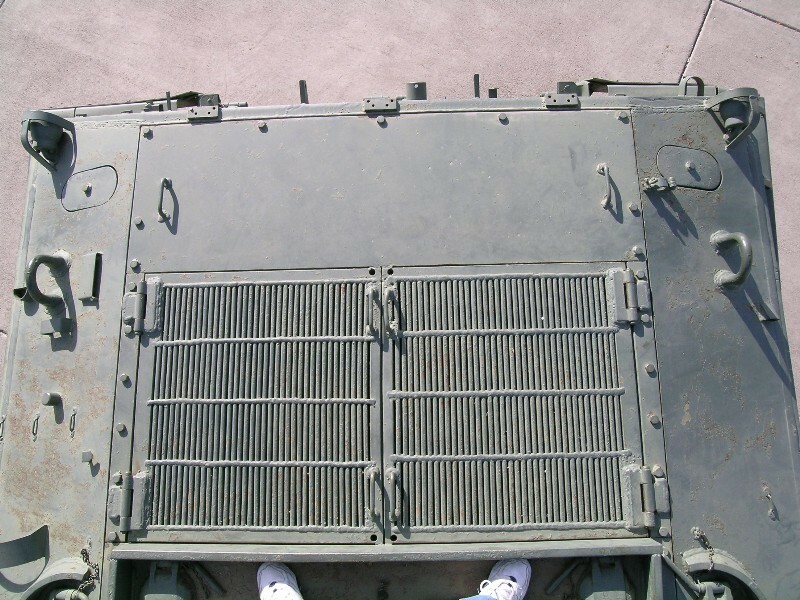 The overhead shot of the driver's hatch shows the final configuration of the small hatch. 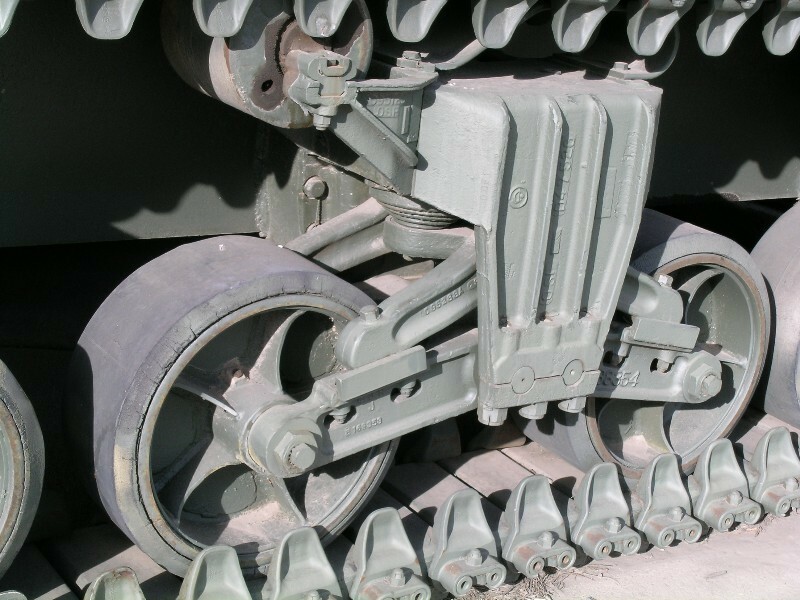 The counterbalance spring, hold-open latch, and periscope guard were all introduced after production started. The two double hooks are for the driver's foul weather hood and are not present on the co-driver's side. Looking at the appliqué armor on the co-driver's side you can see how the ring for the MG dust cover was bent to run onto the appliqué. 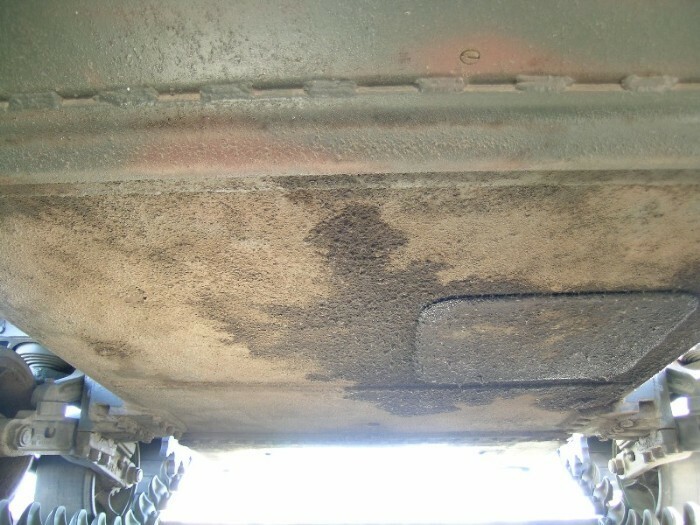 The appliqué was notched to clear the MG socket at the time of installation so it may not look exactly the same from tank to tank. The series of parallel weld beads seen on the appliqué and glacis joints is typical for large welds. As a rule of thumb for modeling, the weld joint width at the surface is about the same as the plate thickness down to about 3/8 the plate thickness, depending on the type of weld joint. 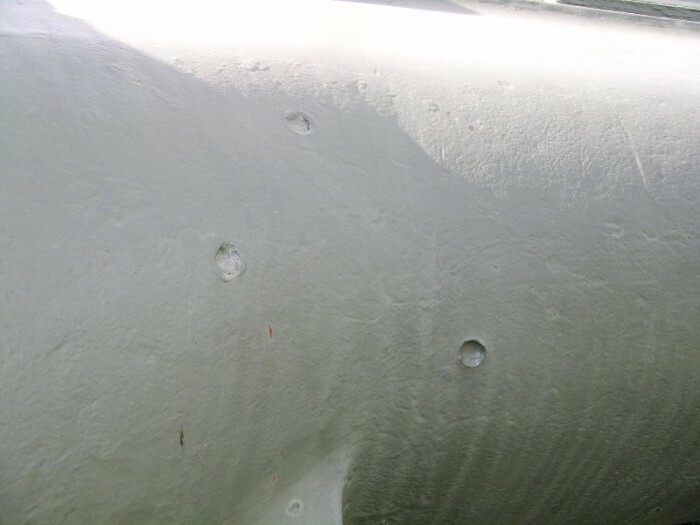 Weld beads are between ¼ and ½ inch wide so it is much more common to see this sort of arrangement rather than the "one big weld" commonly seen on models. 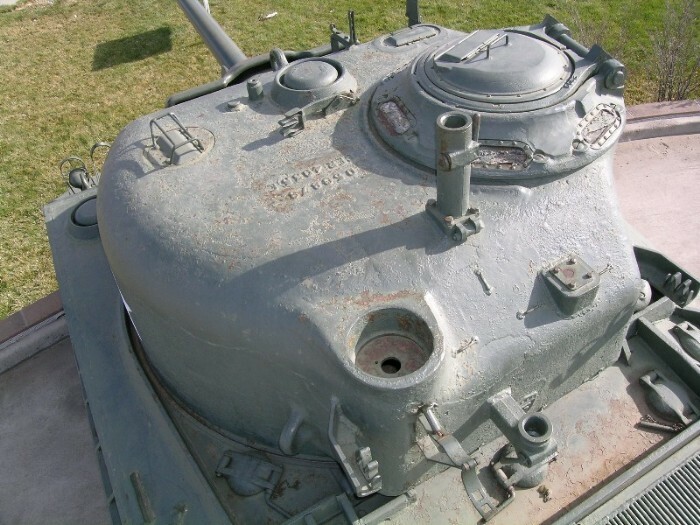 The headlights were removable from their sockets and the hole can be seen in the base casting. A plug (missing) was to be used when the light was removed or stored in the small tube on the headlight brush guard otherwise. 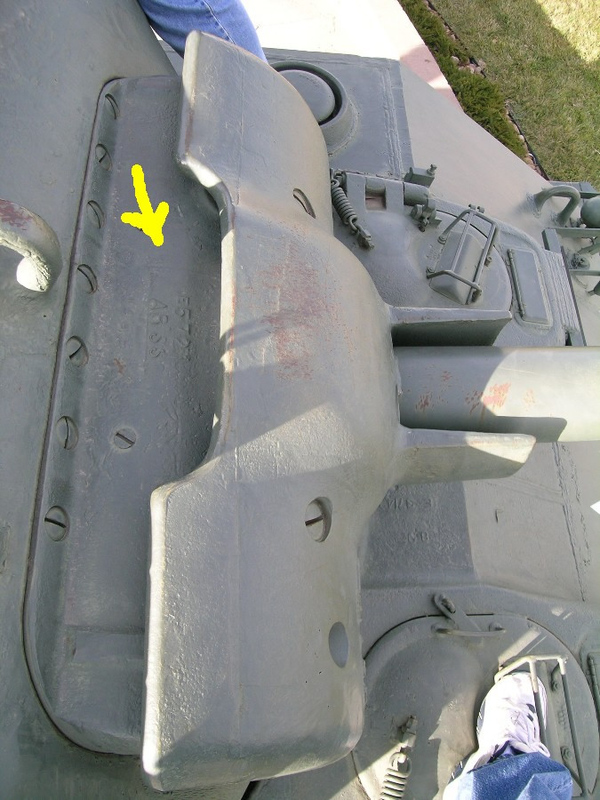 On the earliest Shermans this tube was attached lower on the brush guard and aligned parallel to the glacis. 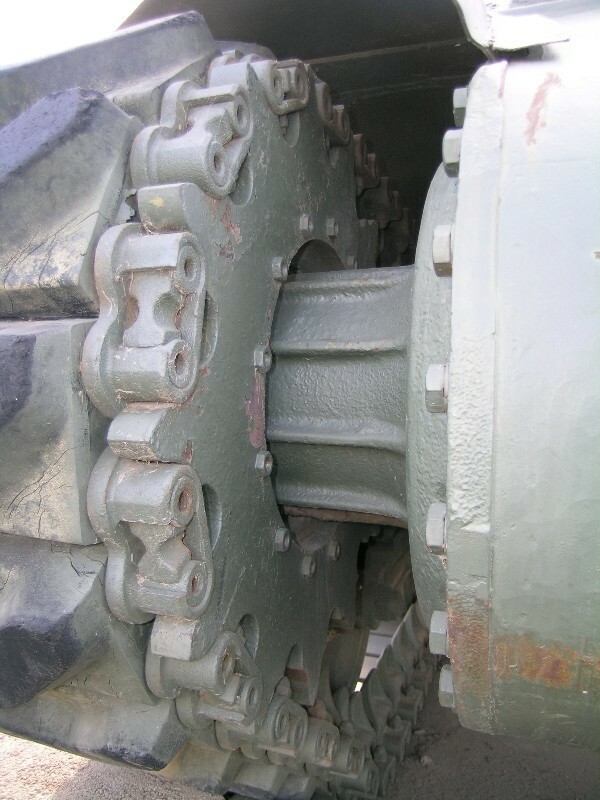 The differential housing attachment bolts protrude above the housing, which was ballistically undesirable. 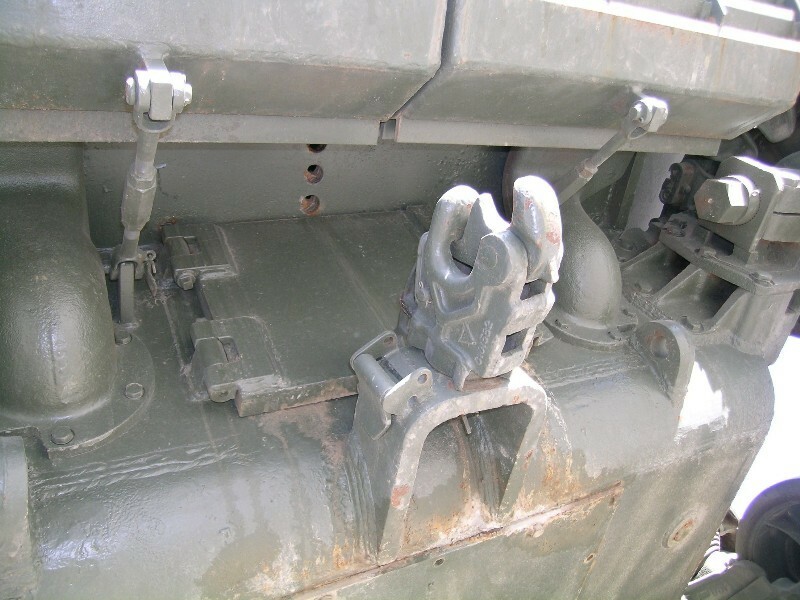 A cast in splash guard was fitted introduced on three-piece housings and standard on the E4186 single anchor brake housings shown here. Later E8543 double anchor brake housings left this part of the casting thick and machined recesses for the bolt heads so they were fully protected from bullet splash. 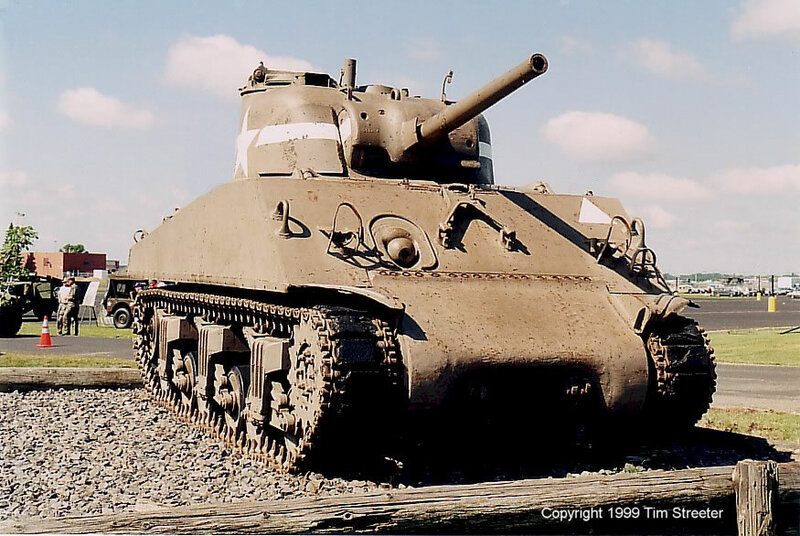 Small hatch M4A3s were made with the E8543 housings starting in August, 1943. 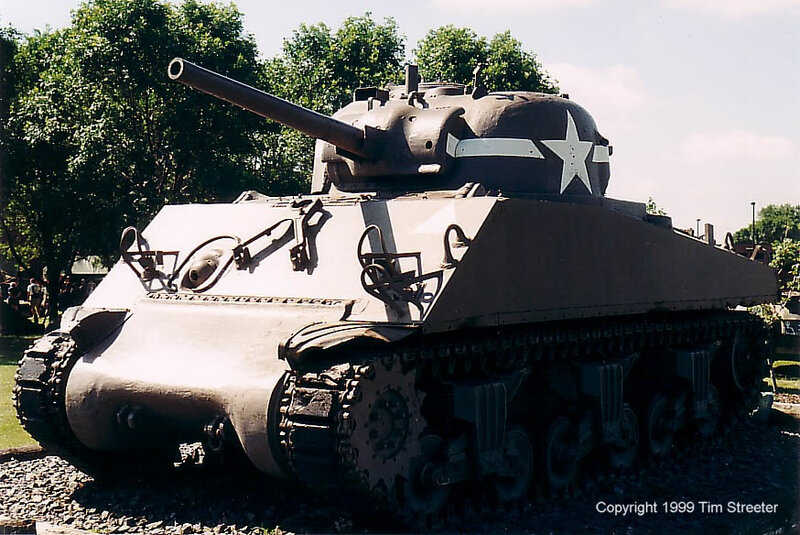 In 1944, the M4A3 glacis was changed to 47° and the driver and co-driver vision slots were changed to periscopes housed in the top of the hatches. 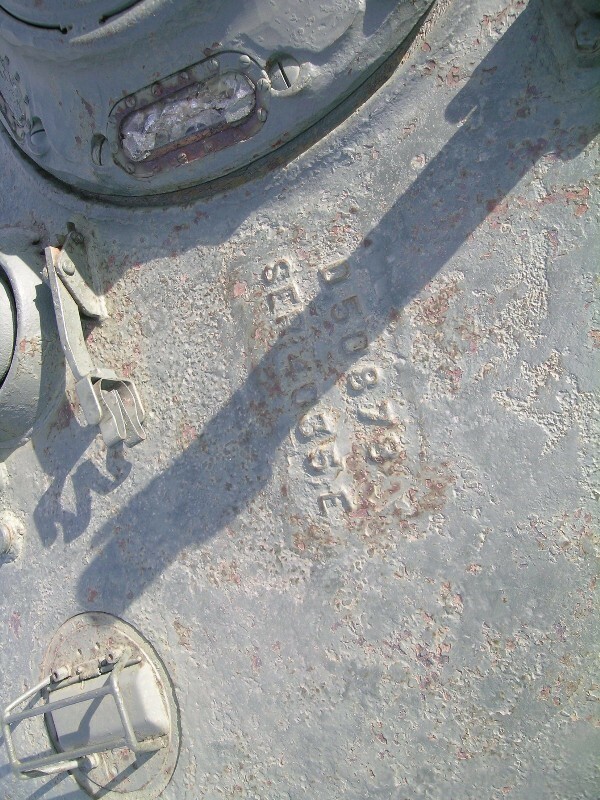 There is no appliqué armor on the hull of this tank; modifications had been made to protect ammunition with "wet" stowage. 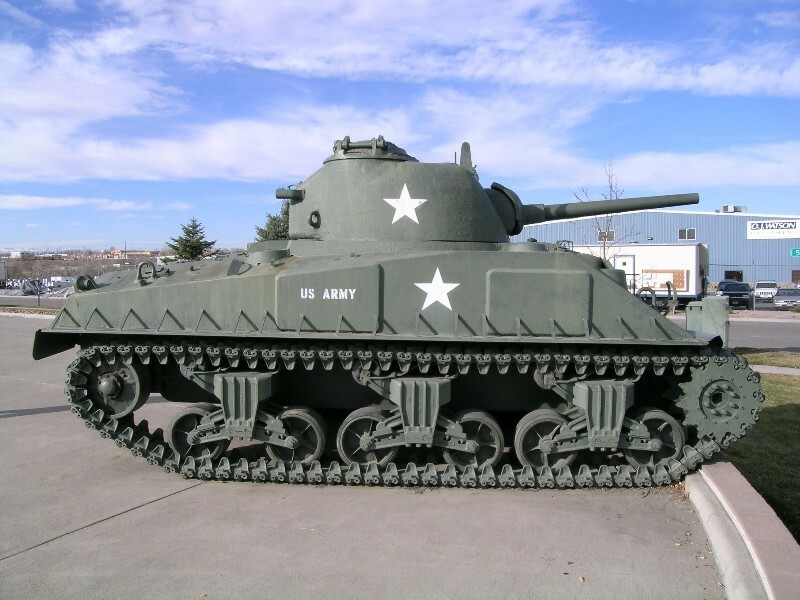 This tank, a "gatekeeper" at Fort Snelling, is a rarely seen combination of the older "low bustle" turret that was standard with the M4 Sherman, and the later hull of the M4A3, which typically had a "high bustle" turret as seen in Tamiya's kits #35139 and #35250. 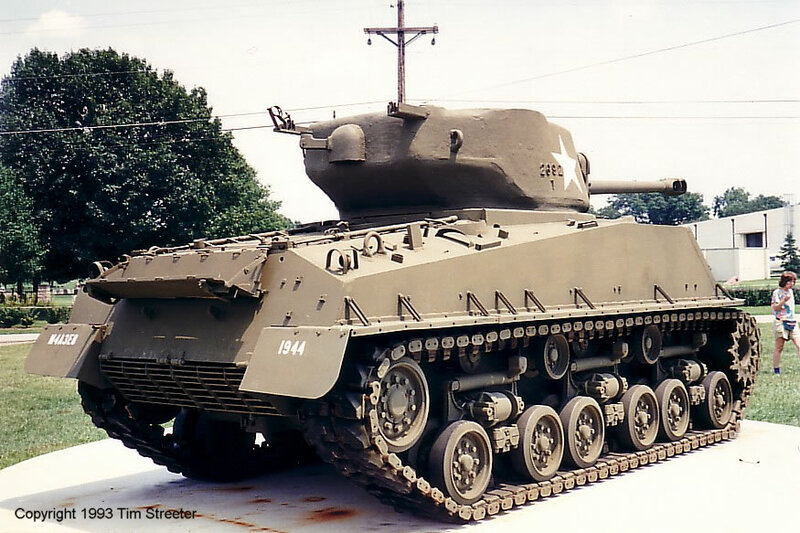 So if you wish to build this particular hybrid, you'll need to swap out the turret from the M4A3 kit. 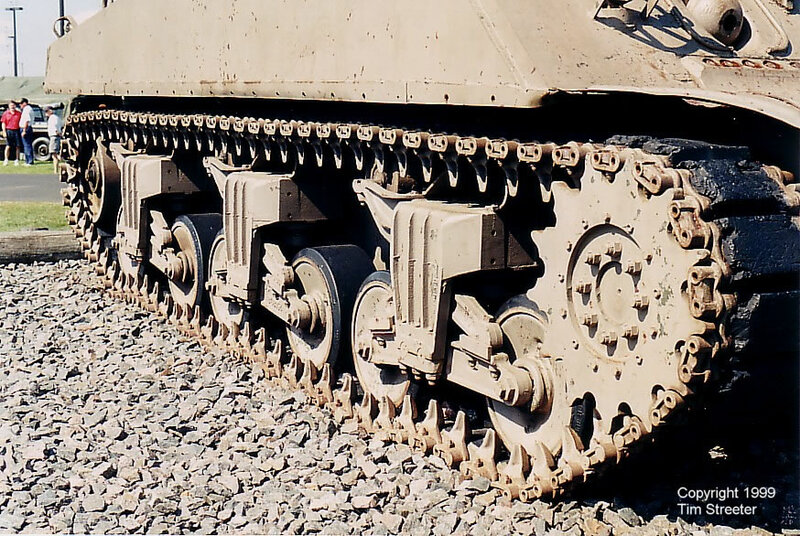 This version, from the Patton Museum, features the Horizontal Volute Spring Suspension (HVSS), which gave better mobility through the use of a wider track over the previous Vertical Volute Spring Suspension (VVSS). 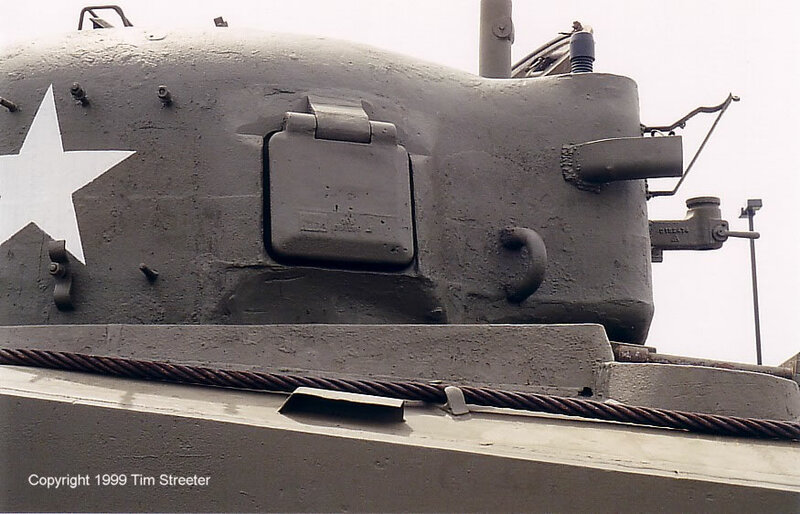 The turret was also enlarged to accommodate the more powerful 76mm gun. This tank is available as a Korean War model from DML (#9009) and Shanghai Dragon (#6811). There is an old version from Tamiya (#3018) which was motorized, thus the hull measurements are not accurate -- but it's a fun kit for a 10 year old to build!